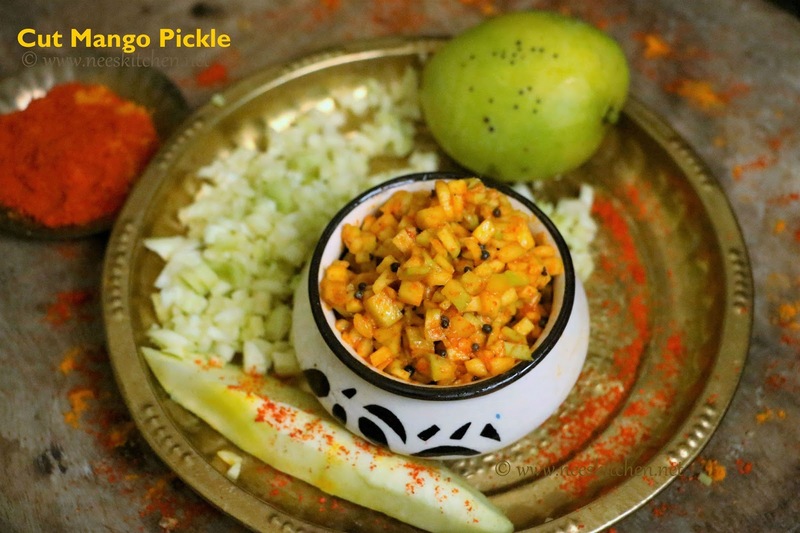 Instant Cut mango pickle with curd rice is a best comfort food. 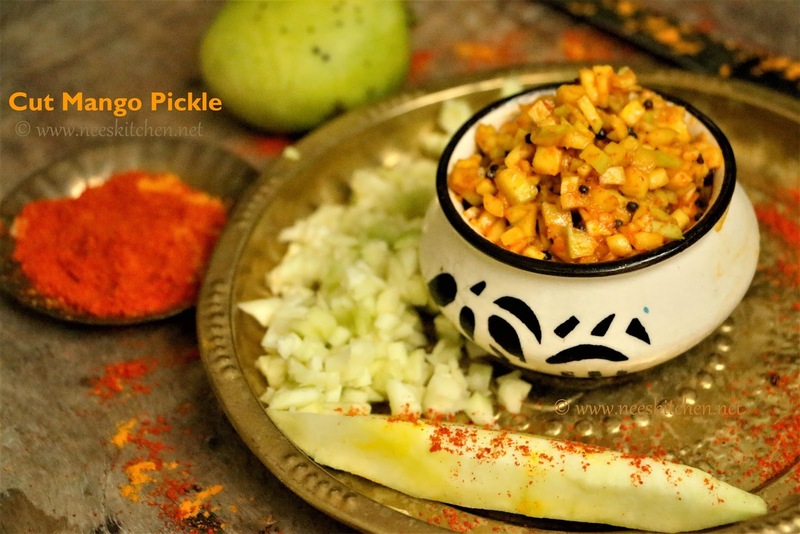 Instant cut mango pickle is generally made when we get a mango which is slightly bruised and unfit for Avakaya’s or pickles which are made of long term storage. 1. To begin making the Instant Mango Pickle , Wash and peel the mango. Cut them into small pieces and make it to 1 cup. 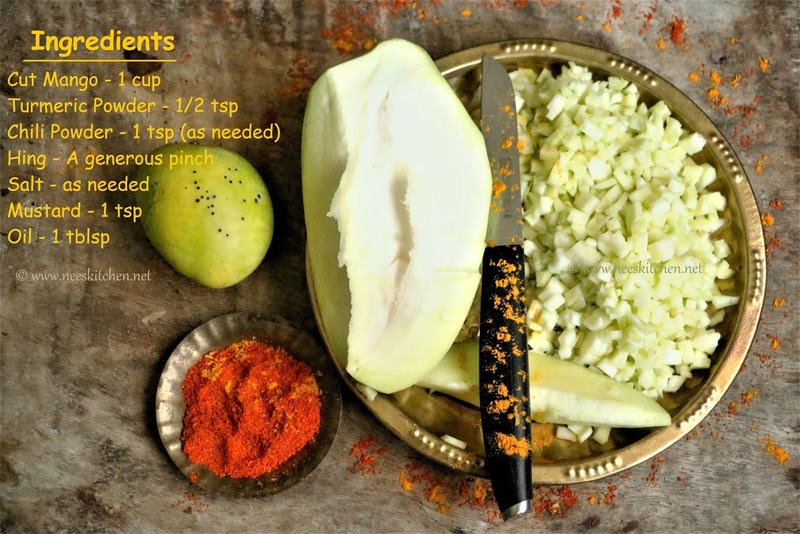 If one mango is not sufficient to make it to 1 cup, add few more mangoes. 2. Combine hing, turmeric, salt & chili powder with the cut mangoes and allow it to marinate for 20 minutes. 3. Take a heavy bottom vessel and add sesame oil. Once the oil is hot, add mustard seeds and as they splutter, switch off and allow it to cool. 4. Transfer the cool down tempering into the mango chili mix. 5. Refrigerate after 2 days or after 1 day if the climate is too hot.